The announcement for SESCDP Class #20 closed on September 7, 2018. Contact us to sign up for program updates. Learn more about how to be competitive for the SESCDP. a mentor who is a member of the Senior Executive Service. The SESCDP includes formal classroom training, formal leadership assessments, executive level developmental assignments, networking opportunities with other senior executives, exposure to government-wide leadership challenges, and mentoring. Individuals who successfully complete all program requirements and prepare the ECQ statement or template are eligible for their SESCDP package to be forwarded to OPM’s Qualification Review Board (QRB) for evaluation. Those who receive QRB approval are awarded a non-competitive certificate for appointment to a senior executive position without further competition. The certificate does not expire. Participation in the SESCDP does not guarantee an appointment to the SES. The following steps provide guidance for proactively preparing for the SESCDP. Review your experience against ECQs – can you address them at the senior management level? 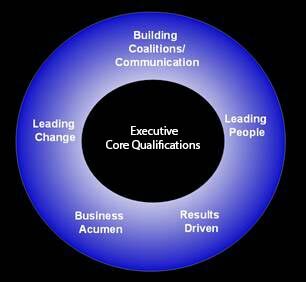 Take a proactive approach in identifying and taking on leadership roles that require you to use some of the competencies in each ECQ. Participate in internal or external details or rotations to round out your experience in the ECQs where you may have less experience. Participate in other leadership programs that increase your exposure to a government-wide perspective and develop your leadership competencies.